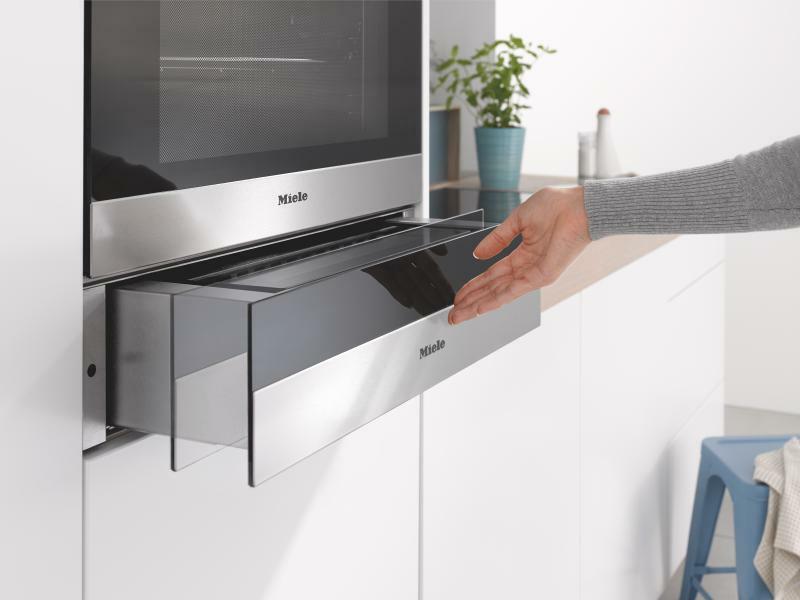 Miele has introduced a vacuum-sealing drawer that, when paired with a combi-steam oven, can also prepare sous vide meals. The space-saving, in-wall unit can be used for sealing leftovers, opened packages, stored food, liquids, and marinades. Ingredients sealed with the vacuum drawer can also be prepared sous vide using a steam oven, giving an additional cooking method to homeowners. The vacuum drawer offers three settings for different levels of food protection. It allows homeowners to preserve food for longer, keeping out bacteria, moisture, and mold. The appliance is 24 inches wide and 6 inches tall and can accomodate vacuum bags of up to 10 by 13.5 inches. It’s made from stainless steel components, including a Clean Touch Steel face. The drawer is push-to-open, and extends all the way out for easy access.